Square Enix’s Business Division 1 that is in charge of developing Final Fantasy VII Remake posted core staff recruitment messages from Yoshinori Kitase, director Tetsuya Nomura, and development leader Naoki Hamaguchi on the company’s official website. 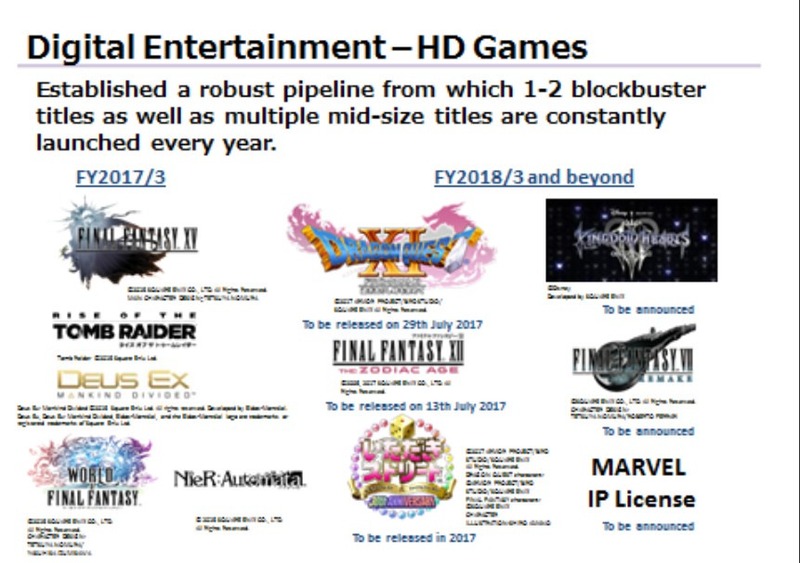 Business Division 1 is the section that is responsible for producing Mobius Final Fantasy and Final Fantasy VII Remake. In 1997 we completely changed the gaming scene at the time with the worldwide hit that is Final Fantasy VII. And the remake of said masterpiece is Final Fantasy VII Remake. In addition to myself, we have director Nomura, scenario writer Nojima-san, and more from the original Final Fantasy VII staff lineup that continued working as staff on the production of past Final Fantasy titles, and they are now joining the team one after the other. How would you like to join us, together, in the Remake of Final Fantasy VII? I believe that many of us developers share the same feeling that Final Fantasy VII is a special title. Twenty years have gone by and the number of generations that aren’t familiar with Final Fantasy VII is increasing, so we must remake the game using today’s technology and systems in order to make it into a title that can last several more decades. Reproducing the world of Final Fantasy VII in high-definition requires an extraordinary amount of time and resources, so we’ll need all the help we can get to shorten that. As those of you concerned with the industry may already know, the number of domestic staff is significantly lower compared to that of foreign high-definition developers. Therefore, in order to further strengthen the development of this title, we must urgently recruit as much staff as possible. By all means, please join us in delivering the world of Final Fantasy VII, once again. With the strong backing from producer Kitase and director Nomura’s thoughts of wanting to make Final Fantasy VII Remake into the best possible product for the fans, it’s been decided that I would step into the role of development leader in order to strengthen staff structure. From the pursuit of a new Final Fantasy game experience that can only be made through this remake, to the graphical challenges that come from the possibilities of evolving technologies—yes, we have everything that a creator needs to create in this here environment. I promise you that now is the best time for creators to display experience and abilities, for this title with high expectations from around the world. The emotions I felt from playing Final Fantasy VII twenty years ago, that’s what I want to revive, as new emotions for the present generation. I’m very much looking forward to receiving applications from those of you who feel the same way. After posting a recruitment message for the development of Final Fantasy VII Remake, we were reminded that its development will still take a while, and Square Enix sent the extra reminder in a financial results outline. So unfortunately for those of you looking forward to playing either of those titles by the holiday season this year, you’re kind of out of luck with a window that is set for sometime in the next three years, or 2020 and beyond. It isn’t rare to see Square Enix work with other developers for work on big titles as we’ve seen in Final Fantasy XV, but it’s been revealed that they’re shifting to an internal development focus for Final Fantasy VII Remake. “Information is already out there on the Internet, but it’s been decided that I’ll be in charge of the development side for Final Fantasy VII Remake. As for the process (it’s a sensitive topic), until now we’ve been going forward with the game’s development with help from the outside, but the company has decided to shift to an internal structure for mass production and quality. The reason we’re doing this is to have a stable schedule and to be in control of its quality. In related news, Square Enix recently stated that it may take up to “three years or so” for the release of Final Fantasy VII Remake.